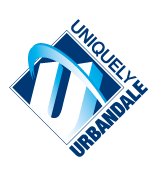 The vision for the Urbandale Community School District is to bring learning to life for everyone. In order to bring learning to life, students, parents, staff, teachers, and administrators must have a safe and supportive learning environment. Urbandale is committed to creating an environment where harassment and bullying does not exist. We strive to drive out fear by making bullying a topic that is okay to talk about, by understanding what actions are being taking to lessen the degree of its presence, and by modeling the fundamental behaviors we value for creating a safe, supportive, and joyful learning environment. In Urbandale, harassment and bullying behaviors are unacceptable. We believe there is a better way and are taking meaningful action to make our vision a reality. In support of the Iowa Anti-Bullying/Harassment Law (Iowa Code 280.28), the Urbandale Community School District has partnered with the Heartland Area Education Agency (AEA) to create consistent, relevant, and timely training for all Urbandale school team members. At the beginning of the 2012-2013 school year, Urbandale Principals conducted harassment and bullying training for all staff and teachers. The objectives of the training were for participants to have a clear understanding of what bullying is and is not, an understanding of the process for reporting alleged bullying incidents, and an understanding of best practices for intervening in bullying situations. Beginning in 2013-2014, all teachers, associates, coaches and administrators have continued building awareness and increasing understanding of bullying behaviors by completing the Bullying Prevention online training offered by the AEA each year. In addition to staff training, educators in Urbandale schools are encouraging student participation in order to prevent bullying. By educating students on what bullying is and how to handle it in their everyday lives, we are opening channels of communication on a topic that has long been stifled. In doing so, we aim to build a greater sense of confidence in our students by giving them the tools they need to not only prevent bullying, but to become proactive in creating a safe and supportive learning environment. Please review the full harassment and bullying board policy 545 and appropriate forms.